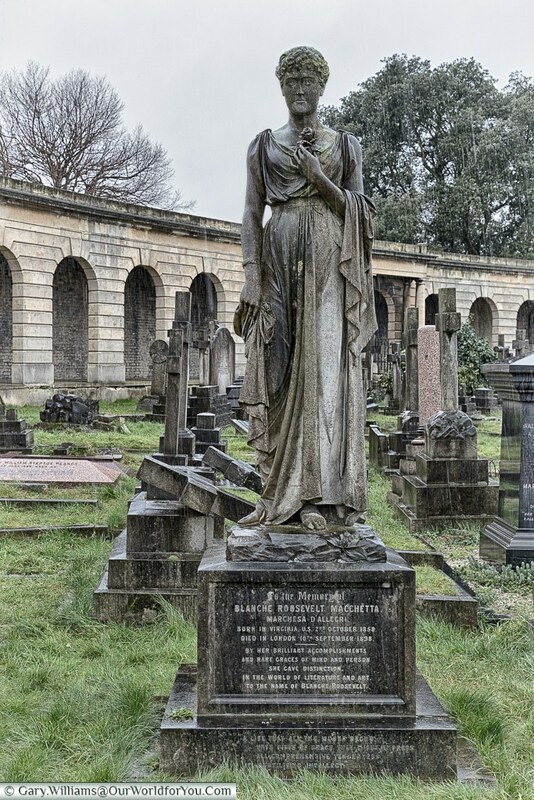 As I continue my unusual allure with cemeteries near and far, I find myself at one of London’s “Magnificent Seven”, Brompton Cemetery to be precise. 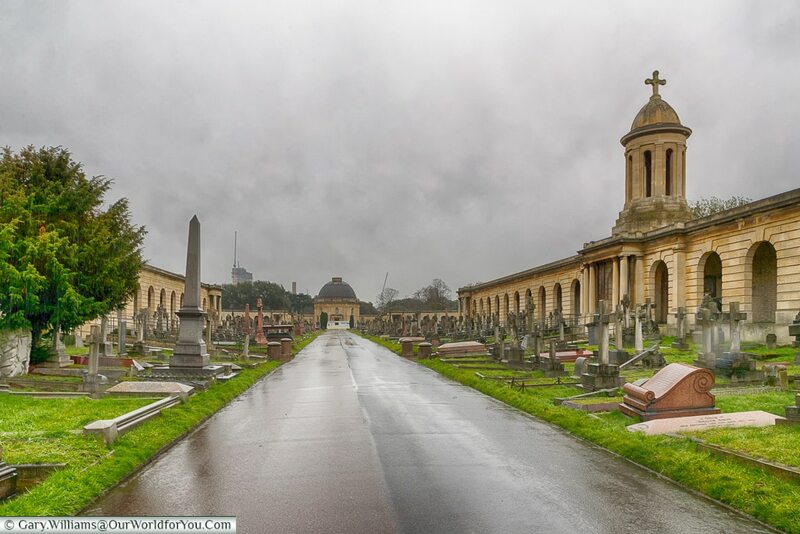 Brompton Cemetery was built in 1840, along with six other large private cemeteries during the 19th-century, this was to alleviate the overcrowding in London. 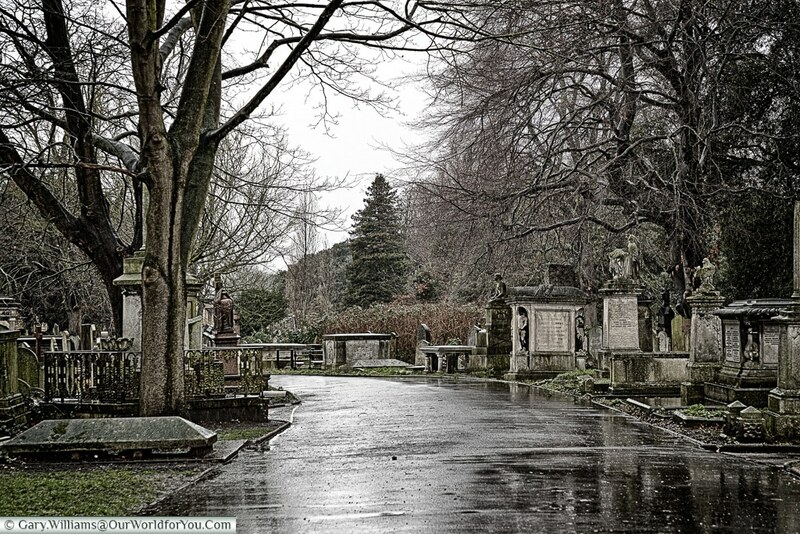 The most well-known of these I would think is Highgate cemetery (and yes that is on my list to visit). 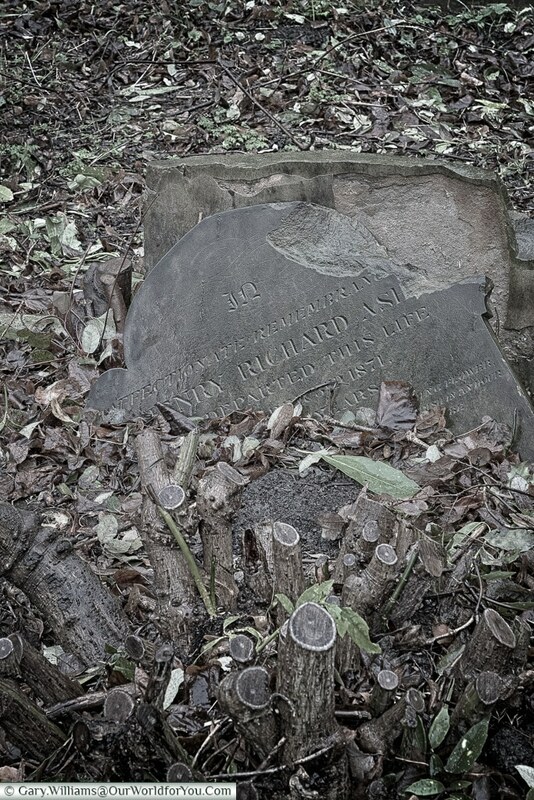 Some folks do find it strange that I enjoy wandering along mysterious pathways between crumbled headstones and neglected graves, but the history that can be found amongst the overgrown ivy is incredible. Noble persons, heroes, rich and poor, all rubbing shoulders with each other and all once had a story to tell. I must admit this isn’t something I would enjoy doing after dark!!! 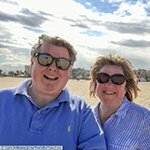 When we arrived on a cold, wet January Sunday morning, Gary was with me every step of the way; however, as the rain turned to sleet and then light snow, the smiles were gradually waning. But not to be defeated, we discovered some intriguing stories and would love to share them with you. 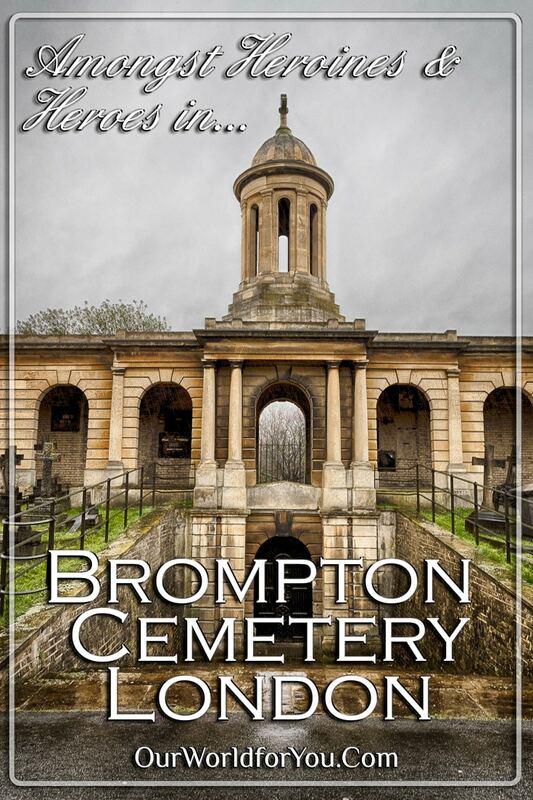 The nearest station to Brompton Cemetery is West Brompton, which is an underground station on the District Line (That’s the green one) & national rail. 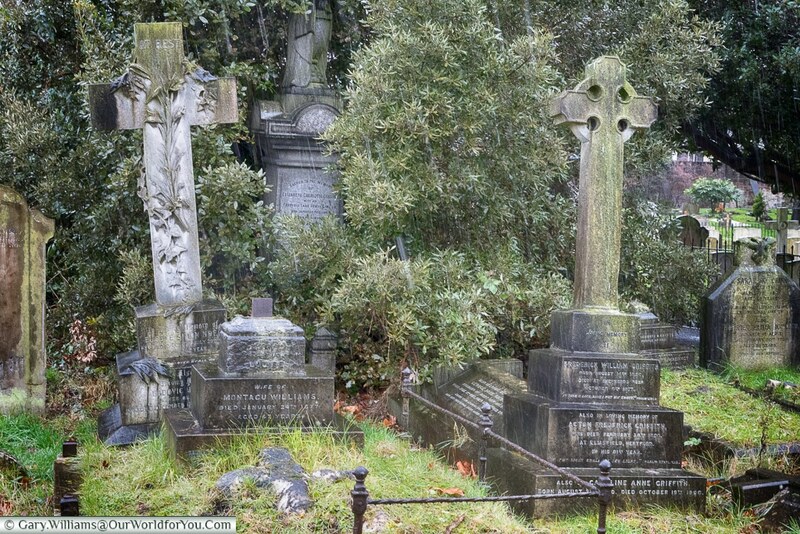 This is a just a 2 minute walk from the North entrance. 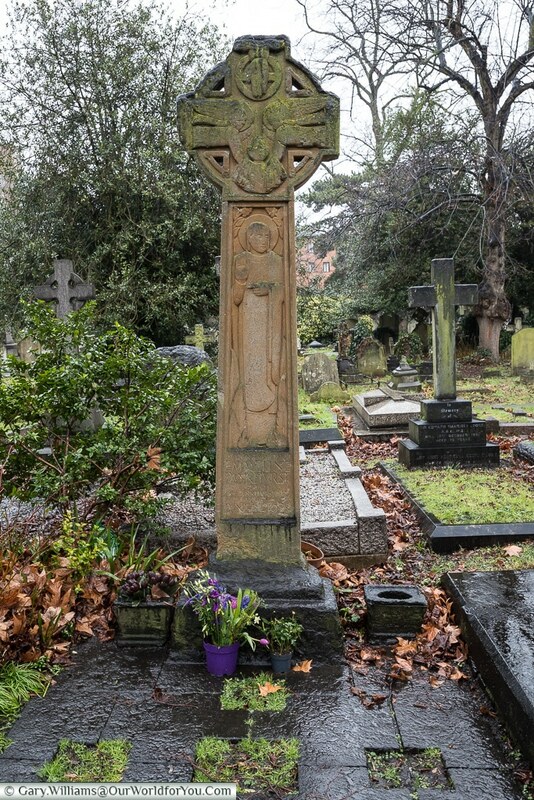 Brompton Cemetery’s most famous resident must be, Emmeline Pankhurst. The unwavering lady who so selflessly stood up to women’s suffrage and significantly pathed the way, of women’s rights today. 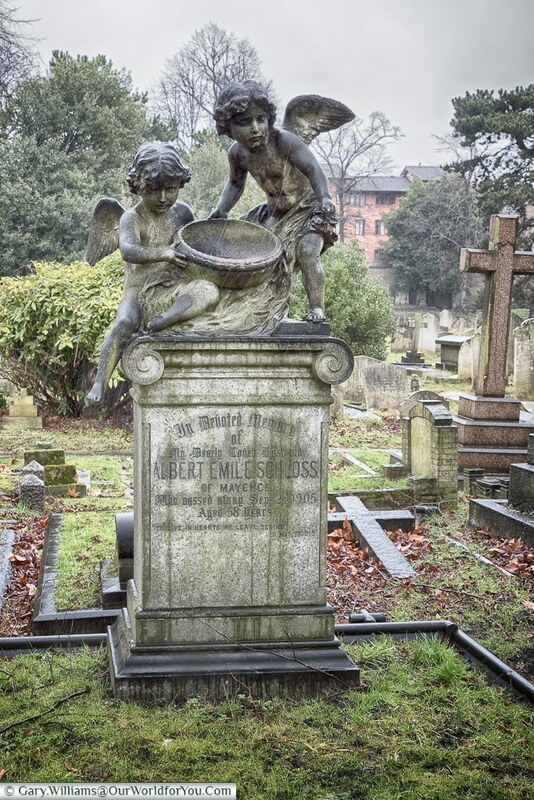 Emmeline’s headstone is quite unassuming, and if you weren’t specifically looking out for it, it might easily be missed. John Jackson was a bare-knuckle pugilist during the late 18th-century, and after becoming “Champion of England”, he set up a boxing academy for gentlemen. 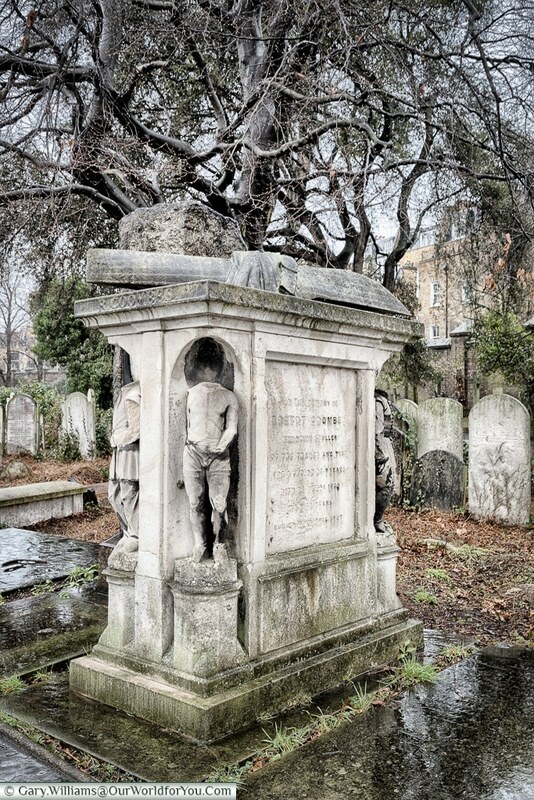 He became very popular with nobility, and when he died in 1845, a monument costing around £400 was provided by friends and admirers. The monument is quite impressive and even has a lion on top. 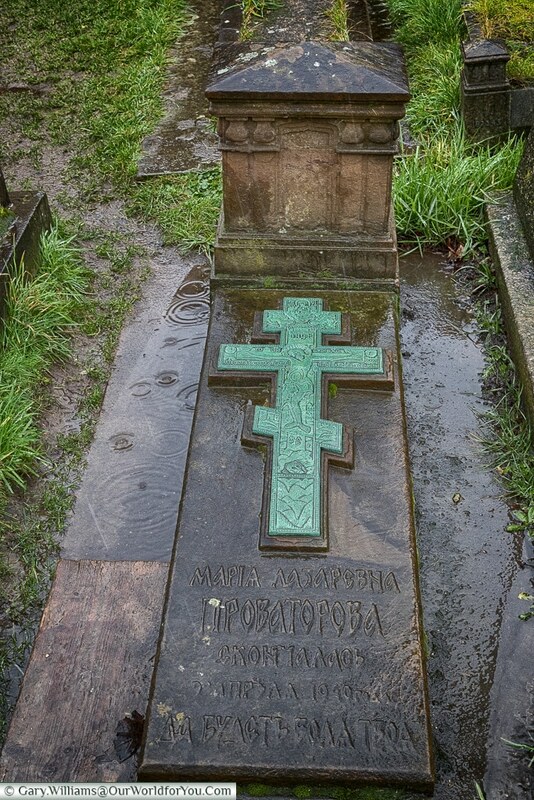 One headstone that did catch our eye was that of Flight Sub-Lieutenant Reginald Alexander John Warneford, which had an airship etched upon it. He died at the age of 23 after receiving the Victoria Cross. He is one on 12 VC holders. Individuals who have been recognised for their valour in battle. Blanche Roosevelt, was an American opera singer, author and journalist. She joined the fashionable, and wonderfully named D’Oyly Carte Opera Company, before forming her own opera company. An impressive statue of her stands in pride of place along Main Avenue. In later years she spent much of her life in the South of France where she was involved in a horrific accident in a horse-drawn carriage. 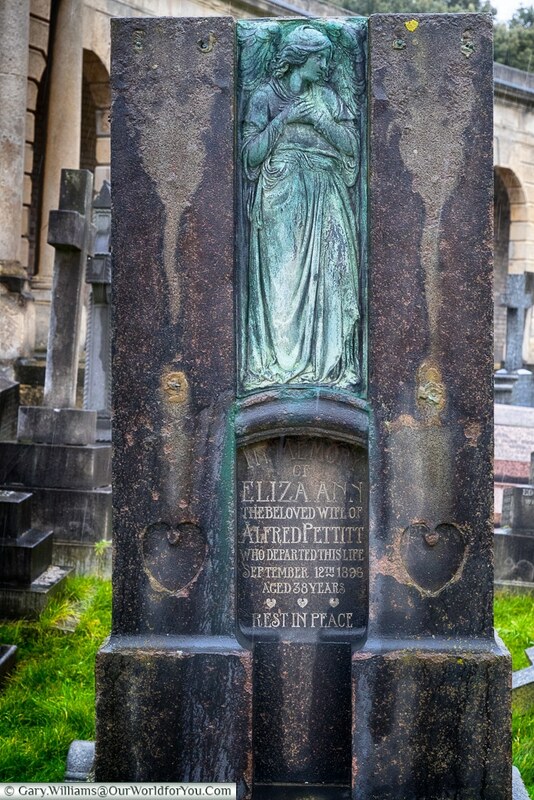 She never fully recovered from her injuries and died, aged 45, the following year in London. 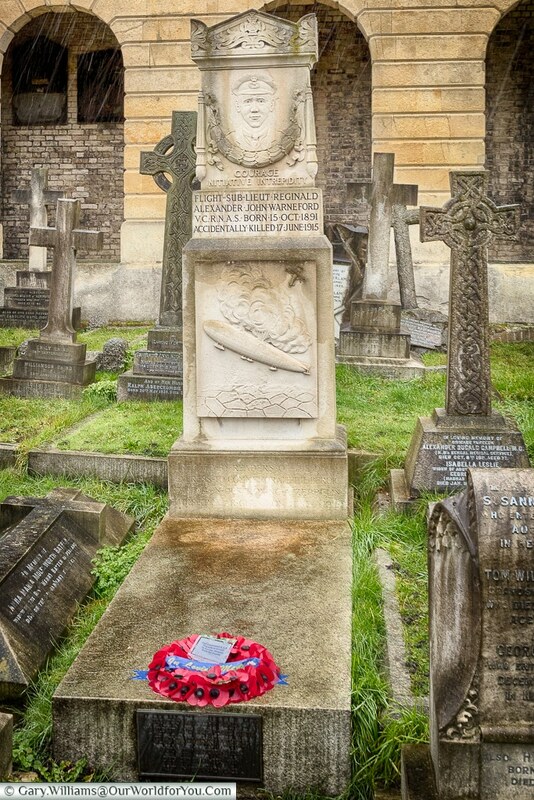 Although there are several war graves around Brompton Cemetery, there is a dedicated section to the military. A railed & gated area with a mixture of headstones large and small many depicting their age rank and regiment, it’s quite moving. 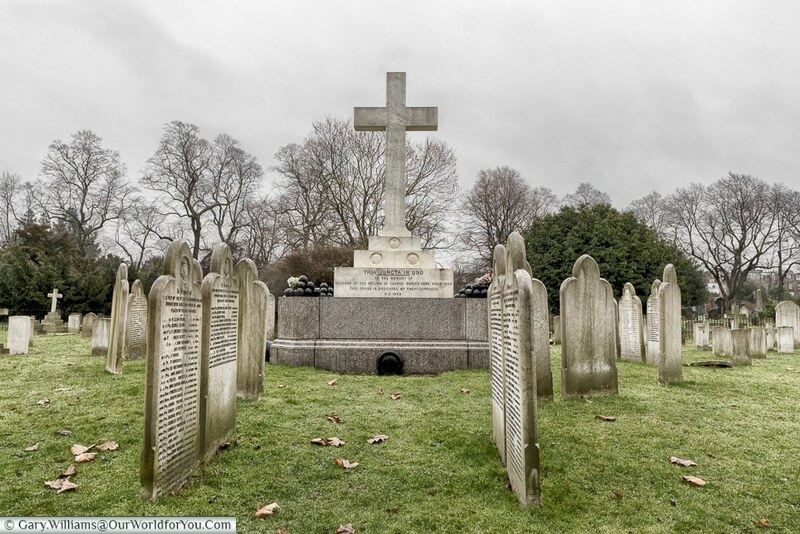 The Royal Hospital Chelsea, which is retirement and nursing home for veterans of the British army, has a dedicated area within the cemetery. 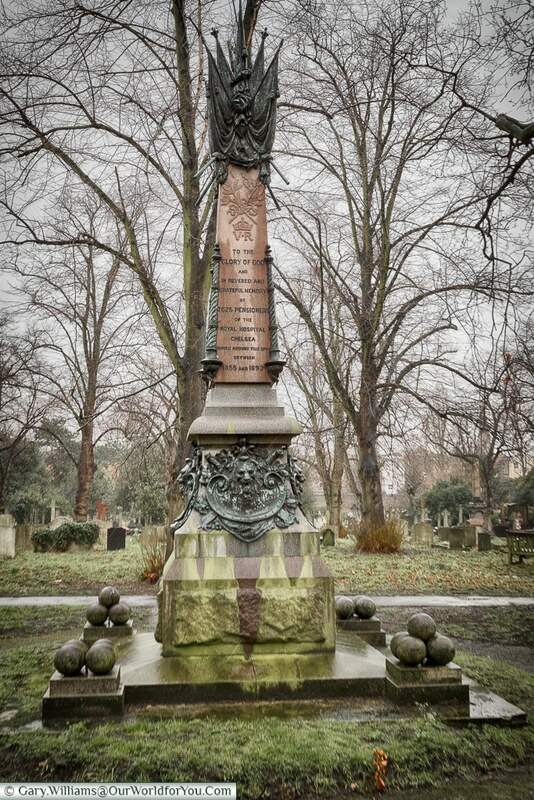 Here they have erected an obelisk in memory of the Pensioners buried within the grounds. For a little bit more information take a look at the Royal Parks website. 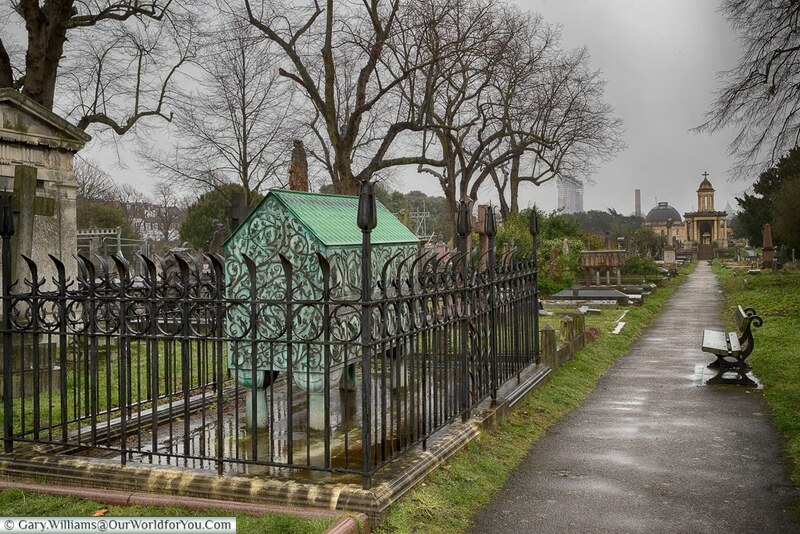 Another eye-catching memorial was the Grade II listed funerary monument of Frederick Richards Leyland, who was a ship owner and art collector. 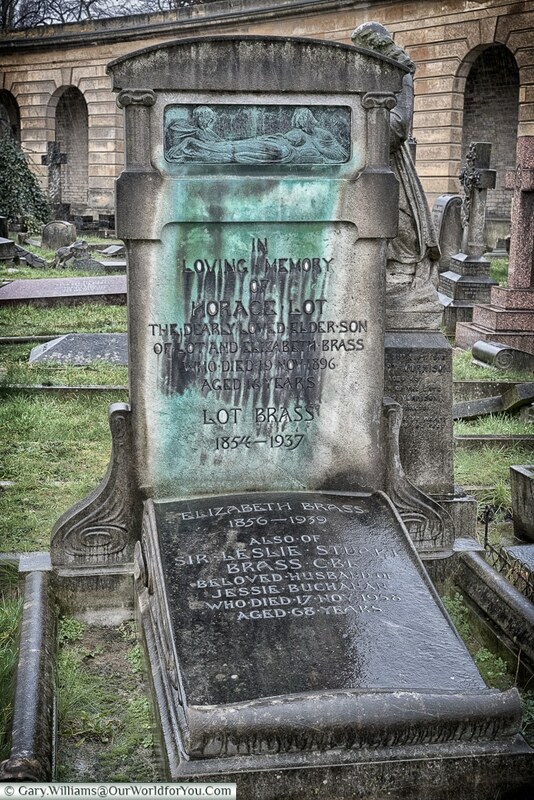 The memorial designed by Edward Burne-Jones is the only Grade II listed monument in the cemetery. 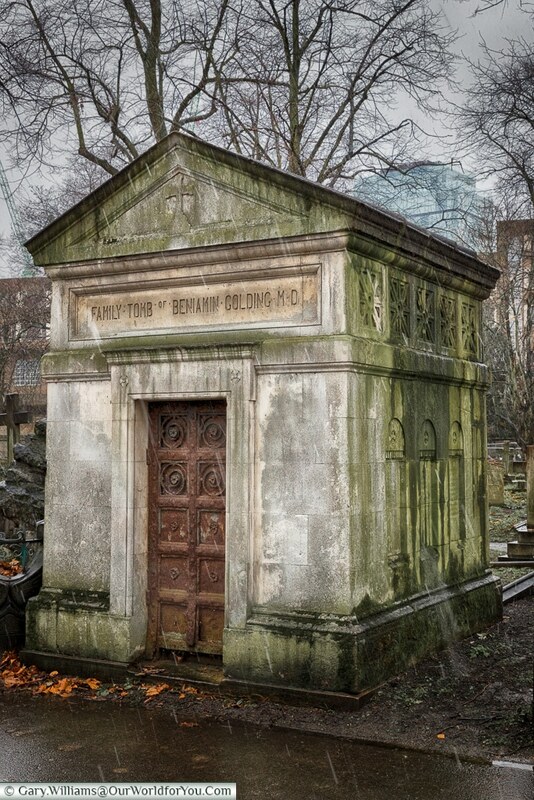 Within Brompton is also the tomb of Dr Benjamin Golding, founder of Charing Cross Hospital. This memorial can be found at the north end of Main Avenue. 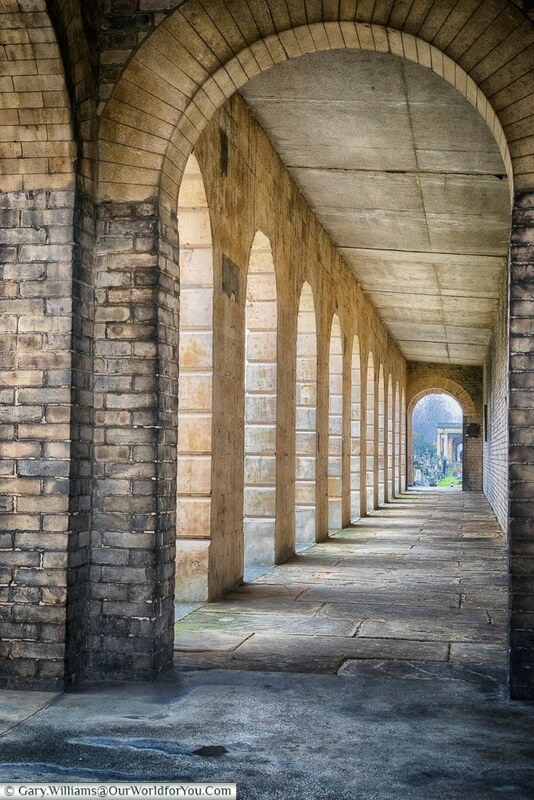 Robert Coombes was a champion sculler and trained crews in the Oxford & Cambridge boat race. Later in life, he fell into poverty. 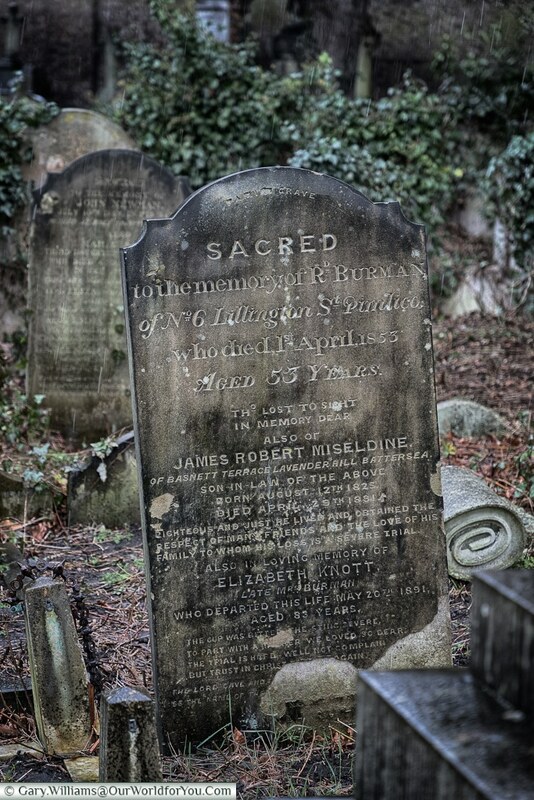 However, his friends paid for his unique tomb at Brompton. Which unfortunately has since been defaced. 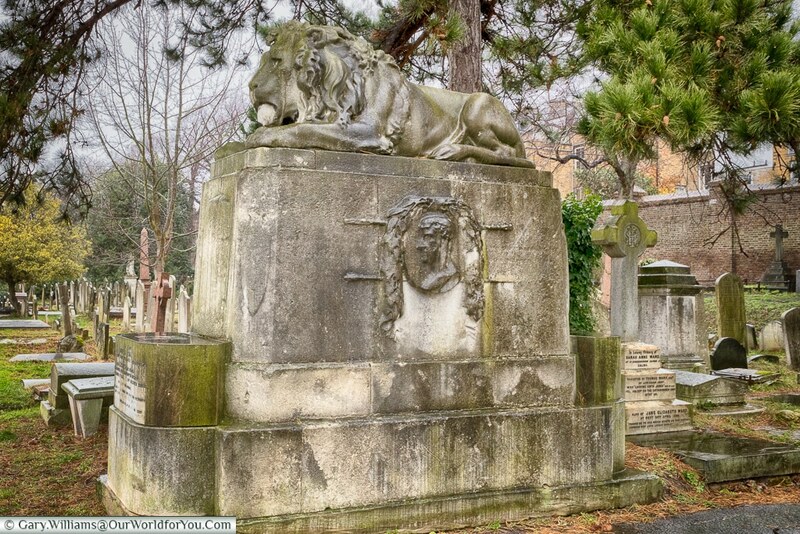 As you stroll along the main avenue, passing the colonnades and catacombs, there is a certain sense of wealth and honour amongst the memorials. 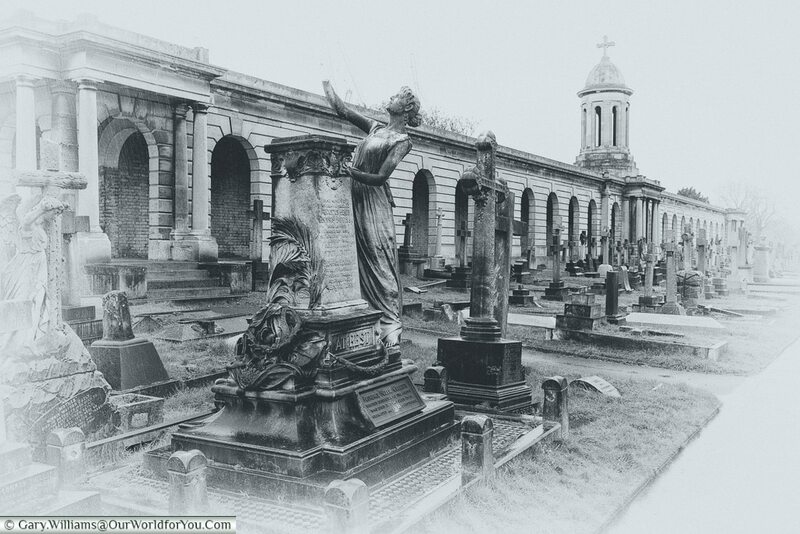 Brompton cemetery is very close to Stamford Bridge, home of Chelsea football club, so, unless you are a Chelsea fan avoid match day. 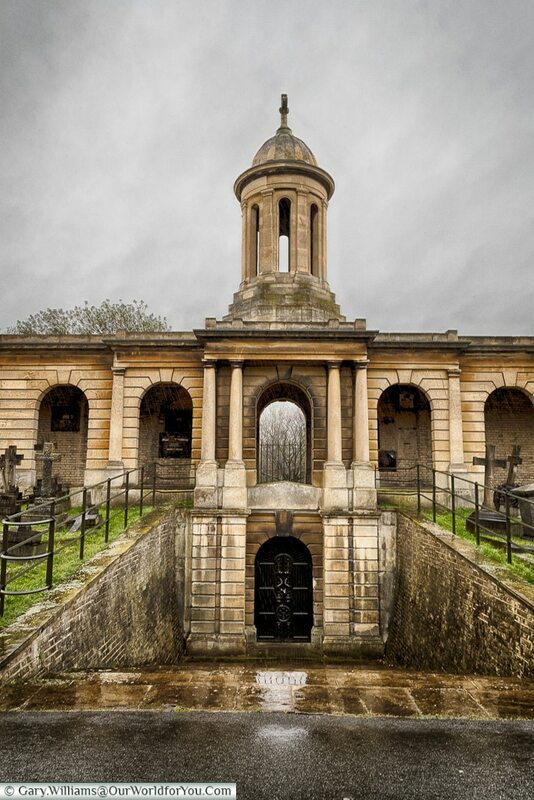 Brompton Cemetery may ring a bell with some of you, as it is occasionally used as a filming location. Particularly around the chapel and the central arched roundel. Guy Ritchie’s “Sherlock Holmes”, starring Jude Law was one that may be familiar and also “Finding Neverland” with Johnny Depp & Kate Winslet. Or do you recognised it from “Mission Impossible: – Rouge Nation”?, or perhaps the cringe-worthy funeral scene in “Johnny English”. 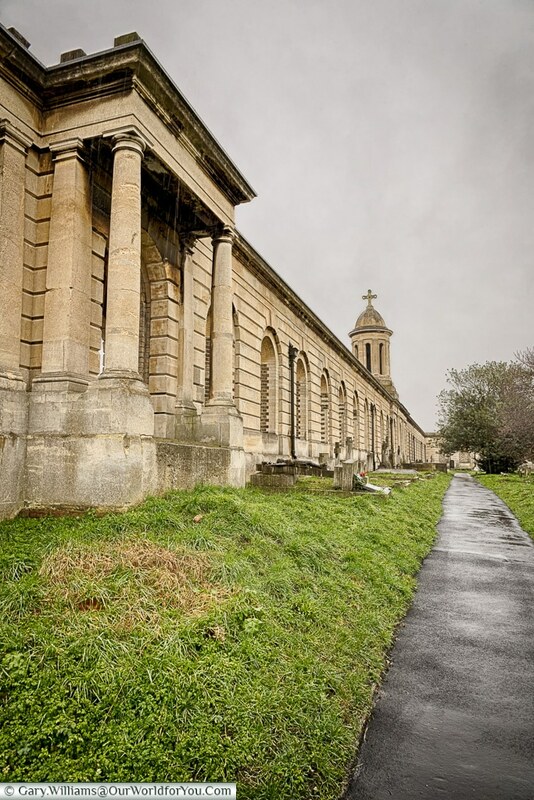 Inspired to visit Brompton Cemetery? 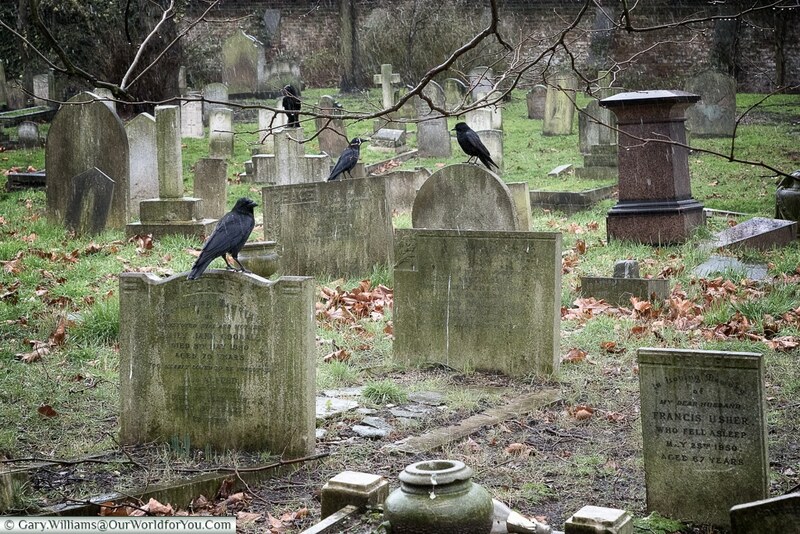 Inspired to visit one or all of London’s “Magnificent Seven”, there is so much history to be discovered. Why not check out the latest deals for London on Booking.Com?